The field of SEO copywriting is constantly changing, and so staying on top of the search engine results pages means staying abreast of the most recent developments. In addition to this, with such a large amount of variables to consider in search engine optimisation, if you’re an SEO copywriter there’s always something left to learn. If you’re relatively new to the field on the other hand, you might be eager to brush up on some of the best techniques and practices. There are of course a lot of resources out there, both online and offline, for doing all these things, and to help you out here we suggest four great ones which we think can benefit anyone. 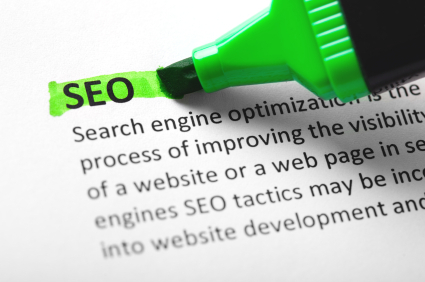 SEOmoz is a developer of specialist SEO software, but they also carry a huge amount of information and news about SEO copywriting on their website. Run by SEO expert Rand Fishkin and a large team, the site features extensive information in their resources section, and lively discussion of the current hot topics in their blog and the user-generated ‘Youmoz user blog’. The blogs themselves contain a host of information relating to SEO research and trends, the SEO process and other related categories. If you’re an absolute beginner, be sure to check out their excellent and endlessly informative ‘The Beginners Guide to SEO’ . You can also get all your hard questions answered in the Pro Q&A forum. Think of it as Reuters for SEO copywriters, if you want to know what’s going on right now head to the Econsultancy blog. The blog features a wide variety of relevant content, from search engine news and easy to understand infographics to comprehensive reports, how-to type articles, explorations of current issues and other content pertinent not just to SEO copywriting but the wider field of digital marketing. Econsultancy also offer a variety of training courses in SEO, events and reports into the latest trends and market data. As the name suggests, Search Engine Land specialises in keeping the industry up to date with what the major search engines are doing, as well as looking ahead at what might be coming further down the line. Their News section is a vital resource for SEO copywriters and a must for anyone who wants to keep abreast of what Google, Bing and the rest are doing. In addition to news, the website features a wide range of informative resources, including starters’ guides on SEO for specific search engines, and a number of columns dealing with SEO issues. Run by SEO copywriter Heather Lloyd-Martin, the SuccessWorks blog covers a wide range of SEO topics, including news-related commentary, interviews with experts in the field and tips based articles. Heather also offers SEO training and certification for freelancers and in-house marketing professionals. Her copywriting business boot camp meanwhile looks at how freelance SEO copywriting professionals can boost their income while working more happily and productively in a six-week online training course.